The newest issue of street zine VNA, has just dropped and I got my copy in the post over the weekend. This is the sixth issue and its looking super fresh. 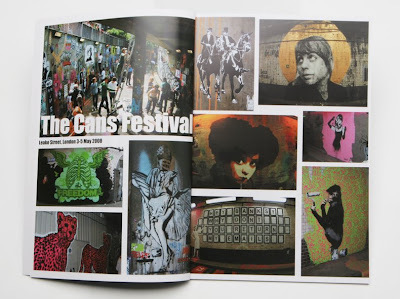 Featuring work by JR, Insa, Snub23, Toasters, Banksy, Eine, D*Face, Conor Harrington, C215, Cept, ATG crew, Paul Insect, Nick Walker, Sickboy, Sweetoof, Cyclops, Rowdy, Cartrain, Rugman, Tek 13, Judith Supine, Prefab, Jef Aerosol and many more... Plus a feature on the Cans Festival and an exclusive interview with London street artist Ace.